This week’s interview is with Australian author Don Dennis, whose war stories and tales of the military offer a distinctive blend of truth and fiction. His books give us a unique insight into history while bringing to life events from the non-so-distant past. I am thrilled to have the chance to talk to the man whose work has had such an impact on so many people. He’s got a lot to say, and a wonderful way of saying it, so let’s get started. AJ: According to your Amazon author page, you have a “healthy disregard for authority.” How did you manage to reconcile that attitude with serving in the military? Did it get you into a lot of trouble then, and how does it work out for you now in civilian life? DD: Actually it was after being in the military for a few years that this attitude developed. I was originally drafted in 1965 and I must admit, I found the NCO’s and Officers who trained us to be exceptionally skilled and surprisingly friendly – many had WW2, Korea and Borneo experience – we’d been fighting an “unofficial” war with Indonesia for years and in some ways we still are – and these guys knew their business. One jungle training course was so tough I was asking how could anyone survive this, many of the situations they put us in were impossible. When I mentioned this to one of my instructors, he suggested that I “bend the rules” (But don’t get caught). What they wanted you to do was develop the ability to think outside the box…this was their way to foster initiative. That same instructor was later awarded the Victoria Cross for an action in Vietnam where he gained a reputation for thinking outside the square. I think the attitude grew from there. The “authority” I developed the healthiest disrespect for wasn’t so much the Army – it was mainly the politicians of the day, most of whom I believe lived in an isolated vapor. We had some of them visit our unit in Vietnam (including a future Prime Minister whom I regarded as the biggest hypocrite of them all ) and occasionally we’d send them on a recon in one of our aircraft – although mostly their minders stopped them doing this because of the risk factor involved. They’d usually return white faced (or airsick) – suddenly they had a better understanding what war was all about. It’s amazing what a few bullet holes in an aircraft will do. I still have a healthy disrespect for many of our politicians – they seem to work on a “Do as I say, not as I do” code of behavior. There are decent ones of course, but they are becoming increasingly hard to find. AJ: Most of your books are non-fiction accounts of military events, but some of your shorter works seem to be sort of on the line between truth and fiction – “based on real events.” So, which do you prefer to write: fiction or non-fiction? DD: I prefer fiction – Science Fiction is the genre I love and my first work, a short story, was first published in a Science Magazine in 1964. I also received a very lucrative contract in 1989 for a fiction work, however in the intervening periods until 1992 when I wrote One Day at a Time and 2006 when I wrote The Guns of Muschu business and family prevented me from writing anything extensive apart from magazine and web articles. Most writers will understand how much effort needs to be put into a book and if one isn’t careful it can affect family life. I’m working on a novel now, set in 2014. I’ve scheduled this for completion late this year (2015) and will self publish. AJ: You really performed a great service for the families of the men lost in the raid on the island of Muschu. Can you tell me a little bit about that, and about the events that took place as a direct result of your book? Mick Dennis is a very modest man and getting information out of him sometimes is like opening oysters, but in the late 80’s he told me a lot about the Muschu operation and loaned me his diaries. I could have published the story through my (then) existing publisher (Queensland University Press) in 1993, however I held off until 2005 when I put a proposal to Allen and Unwin here in Australia. I gained a contract and in 2006 the book was published. I was fortunate enough to receive good reviews from TV, Radio and newspapers which resulted in a number of leads about the fate of the four men who went missing on that operation. One of these was emailed to me from the USA in 2008 by the son of a US Army WW2 veteran who’d read my book. He explained he’d been searching for information about his father who was a US Army Air Corps B25 pilot who’d been shot down over Muschu island in April 1945 (same month as the Z Special raid) He said the information gathered by a US investigation team in 1947 indicated that the Japanese also had several other allied prisoners on the island – both of who were executed. The US Navy documentation included descriptions of the allied prisoners, descriptions that fitted two of the men from operation Copper. Unfortunately I lost contact with him suddenly, his emails bounced and he seemed to have dropped off the planet. I found his name in a phone directory on line and called him – his home had been destroyed in a hurricane and he’d lost his computers. 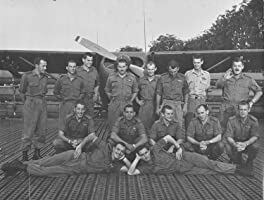 However he had collected more information, including a report from the US Navy in 1947, that described how several Australian airmen had been taken prisoner on Kairiru Island to the North of Muschu. Japanese interrogation records indicated that these men stated that they’d been passengers in an Australian transport aircraft that developed engine trouble and ditched in the sea near the island, and the men swam ashore. Examination of on-line war records at the Australian War Memorial, showed that no Australian aircraft were lost during this period, and as the descriptions of the men fitted two of the missing Z Special commandos, it seemed to me to be fairly obvious who they were. Their stories to the Japanese were typical of one’s they’d rehearsed – the last thing the wnated is the Japanese to learn that they were from Z Special. After receiving more information from him I asked for help from an organization here, known as MIA Australia. This is a privately run operation who’d successfully recovered the remains of MIA from WW1, WW2 and the Vietnam War – in fact they were responsible for located all our MIA’s from Vietnam. The principal of the organization is Jim Bourke, a former army officer, and he along with Peter Aylett – another veteran – took over the investigation. Jim and Peter were able to gain access to records that had been sealed in 1948 – not be opened for 30 years, then sealed again for another 30 years to prevent public access. This of course raised flags, and after battling bureaucracy for almost a year, more information gleaned from Australian archives that told a gruesome story of torture and ritual cannibalism. They were able to determine that indeed all four men had come ashore on Kairiru Island to be captured and later executed by the Japanese. We believe that the fate of the four men was known to the Australian Government in 1947 and 1948, and because of the political machinations of that period – when General MacArthur was suppressing war crimes so that certain Japanese high ranking officers responsible for these were never brought to trial, that the records were sealed and the families involved were never told the truth. It’s interesting to discover the reason behind MacArthur’s behavior, however my conclusion is that it was linked to the necessity for him to ensure that Japan became aligned with the western powers as a block in the Asian region against communism. Trying and executing certain top ranking Japanese officers would, according to his reasoning, alienate many of the Japanese upper class, and increase the possibility of Japan becoming sympathetic to communism. So we found ourselves in the middle of a politically sensitive issue. A lot happened behind the scenes, including suggestions that there was no point in pursuing the matter further as it would only be distressful to the families involved – along with other reasons. The expedition took place in 2010, and resulted in Jim and Peter narrowing down the search area on Kairiru to roughly the size of a football field – with a subsequent follow up expedition by them narrowing it even further. The rest is now history, the government sent teams to investigate, found the remains of two men, which were later confirmed by DNA to be those of two of the missing commandos. Meanwhile it had been found that the two other men had been found in 1947, and interred in Lae War cemetary as “Unknown Soldiers”. These were subsequently identified by DNA and their graves marked accordingly. One thing we learned and have yet to substantiate, is that the heart of one soldier was removed, placed in ceremonial jars and sent back to Japan where they are now in the hands of a collector. Read about the executions on the website. The conclusion to it all was a re-internment ceremony at Lae War Cemetery in 2013 where the surviving relatives of the men were flown to New Guinea to attend – along with Mick Dennis, the mission’s only survivor. One thing the government didn’t do however, was give credit to MIA Australia for all the preliminary legwork and funding the original expeditions. None of the press releases even mentioned the background, and they read as if the government department had performed a miracle of forensic investigation. Yet another example of bureaucrats spinning a story to justify their existence. AJ: Wow. The story of the investigation into it could almost be turned into its own book! As a former military man and a writer, have you found it difficult to tiptoe along the line between what you want to share and what you aren’t allowed to share? DD: Yes I have. However now that more than 30 years have elapsed I can generally say what I want irrespective of the so-called secret nature of the subject. Actually there’s not that much I was privy to during my time in Vietnam (or the rest of my ten years) that was secret – maybe a few things about our activities with radio intelligence gathering and later some of the army’s operations against the Indonesians along the New Guinea border, but really I’ve decided when writing not to bother about crossing that line. (What are they going to do to me – jail me – or put me in front of a firing squad…) There’s a few things I’ve held close to my chest (read Kill the Chinaman) but it serves no purpose to reveal identities of people involved in some of these incidents that happened so long ago. AJ: Two of your books have been optioned as movies. Where do things stand with both of those projects? DD: Both are now in the fund raising stage. The screenplays have been written, I was involved with both – the screenplay for One Day at a Time is by a writer named Jack Brislee, who has been responsible for a number of Vietnam movies. He’s written what I believe is a great screenplay that really capitalizes on the humor and pathos in the book. My involvement has been minimal – mainly corrections for accuracy, terminology etc, that one would expect, but Jack really nailed it, he knows his stuff in this genre. I have a feeling that funding for this one will be finalized before the Guns of Muschu – maybe about another year or so. With GOM, there’s been a lot of activity – two screenplays have been written, both of which I’ve been involved in. The reason there have been two is that GOM is a much larger story and there are two concepts for it. The first is a movie length feature, the second is a two (or perhaps even three) part telemovie. The recent events in finding the MIA from that mission have prompted several producers to suggest they’d like to see the subsequent investigation included, as there’s still information being found. So my feeling on this one is that it’s maybe two years away from going into production, if funding can be raised (estimated at 15 million, which I’m told is cheap). At the moment though, our film industry is in a bit of a frenzy, with Pirates of the Caribbean being shot in studios only about ten minutes drive from where I live. However normality is expected to return when Johnny Depp returns home on completion in May. AJ: Is there a project you want to write but haven’t started yet for some reason? What are you working on right now? DD: On my bucket list is a love story…I have one that’s a true tale that extends over a period of 50 years. It will be a mammoth task to write it but I hope to get round to it before Gabriel blows his horn in my direction. AJ: They both sound like books I’d like to read. What was the last book you read? Would you recommend it? DD: Funny you should ask, as for the last two years or so I’ve had very little chance to read anything other than what I write…and it can become almost incestuous. However just a week ago I obtained a copy of The Judas Pledge by Margaret Brazear. AJ: I haven’t read that one yet, but I’ve really enjoyed several of Margaret’s other books. She really is a fabulous writer. I’m embarrassed to admit that I never really knew anything about Australia’s involvement in Vietnam. Do you find that your books sell well here in America, or are my countrymen all as ignorant as I am? DD: My best market for the Vietnam Diary series is on the US Amazon store, and I have had emails from former US servicemen telling me that they have shared similar experiences. I spent time with several US Army Aviation units and got to know a lot of them – I was 22 years old then. I found them little different from us, except they talked oddly and drove on the wrong side of the road. I have some funny stories to tell about flying around in a Huey delivering reconditioned aircons to remote US units – part of a service one enterprising young US Warrant Officer pilot had set up. I just wish we’d had access to all the toys these guys had. Vietnam was a long time ago, so don’t feel embarrassed – even I’m starting to forget it all. AJ: You started out being traditionally published and then went to self-publishing. Which do you prefer, and why? DD: That’s a hard one to answer. I decided to self publish in 2009 after a contract I had with an Australian publisher was cancelled. Until then I’d enjoyed working with them and my books sold well. Having a good editor (mine was a young woman who kept me on a tight leash…) has its advantages as often one tends to wander off topic and head in a different direction. So a tough, objective editor is great to work with. The reason my contract was cancelled (suspended actually) was because it was a time when the industry was in a bit of a flux..(mess)…my editor and the senior editor of many years resigned after a marketing “guru” was employed that sent the company off in a new direction, including trimming down the genres they would publish (inc mine). So my editor suggest I self publish until things “ironed” themselves out. What happened next was one of Australia’s largest bookstore chains went to the wall – you’d call it chapter 11. What caused all this was the advent of the e-book. 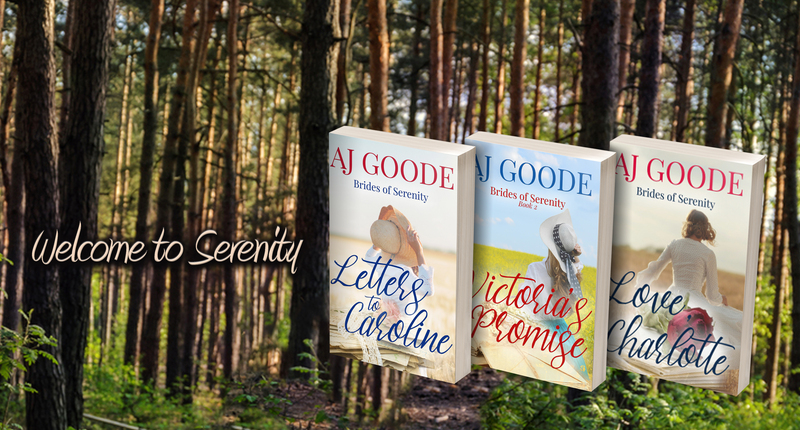 So while my publisher sorted out the mess they’d become bogged down in, I decided to self publish and have since had reasonable success – but the main thing is I get a certain amount of freedom not before possible. However on the downside, I have to self edit etc – always a difficult thing to do irrespective of experience. Having also been a technical writer for 20 years, I’m well aware of the problems involved in self editing which perhaps makes me a little more cautious. Would I conventionally publish again? Certainly yes – especially as I normally gained an advance on commencement and another on manuscript acceptance. AJ: What suggestions would you give to new writers just getting started in self-publishing? DD: Be persistent and be prepared to learn. I see too many who believe their first work will achieve instant success, and if it doesn’t sell within minutes of going live on Amazon or wherever, they complain that it’s someone else’s fault. If the book looks bad or reads poorly it’s no one’s fault but the author’s. They need to learn the craft of writing. Also don’t go hunting for miracle software to format or edit your ebook. Microsoft Word is perfectly capable of producing excellent results. Again too many would be authors seem to think they can purchase software that will do it all for them. In Australia I can buy MS Word 2010 for $20 – and it’s perfectly capable. I use Word 2003. I liken it to being a pilot – some people believe they can step into the cockpit of a 747 and fly it away without learning the basics of aerodynamics in a trainer first. Same with writing – write and learn. Start small and work your way up. So called fancy software will do little for you – too many like the thought of being an author but simply aren’t prepared to put in the time to learn the basics such as a word processor. But above all persistence pays. AJ: That’s great advice. Thanks for that, and for taking the time to talk to me. I wish you all the best with your upcoming projects, and I hope you’ll keep us all informed of the progress on both movies.